It’s that time of year again! You know the one; where the leaves turn colors, and the weather cools, and our focus shifts to sweaters & maple lattes. 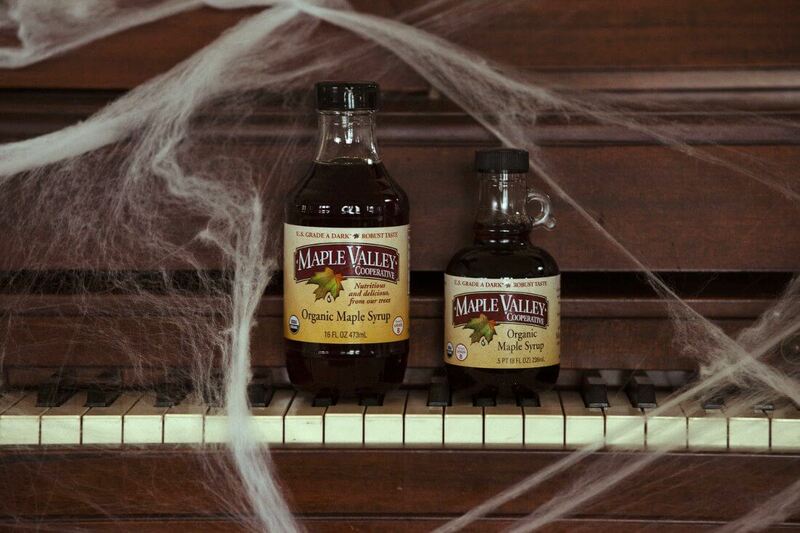 Best of all, Halloween is nearly upon us and we want to celebrate the best way we know how – with maple! We combed the web for the 10 best Halloween crafts for maple lovers so you can celebrate too! Check it out, then share your own ideas in the comments. If you want an easy place to view them all, along with even more ideas, check out our Pinterest Halloween board. Happy Halloween! This tutorial from House of JADE Interiors is easy and festive. Also we think you could make it with real maple leaves if you have any lying around. 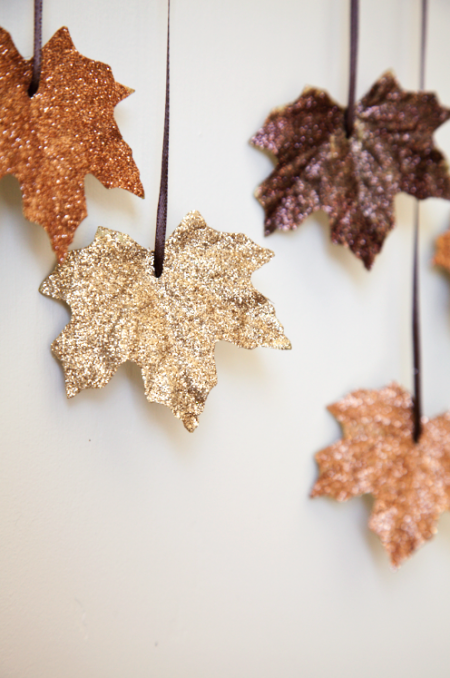 What better way to show your fall spirit than a garland of sparkling maple leaves? If creepy crawlies creep you out, this craft from Bright Child is the one for you. Like the butterfly art we listed earlier, this one uses maple seeds to create fun little bugs you can hang around the house. We think they would be a great addition to some spider web decor. We found a few versions of this fun craft, but our favorite and most clear directions come from Artists Helping Children. These cute little ghosts made from maple leafs can be used in wreaths, hung from the ceiling, or pasted on to a handmade haunted scene. They are simple, versatile, and a perfect craft for kids. Sounds good to us! 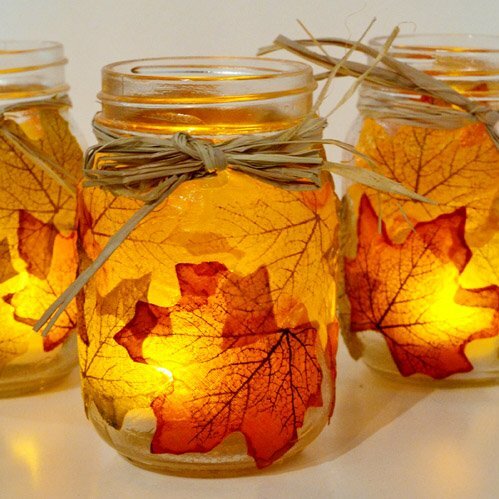 Here is a mason jar craft for those of you who want to capture the color of the season! These beautiful DIY candle holders from Spark & Chemistry do so beautifully. Using real maple leaves, they create a lovely golden glow. We find this fall decor to be suited for Halloween and beyond. 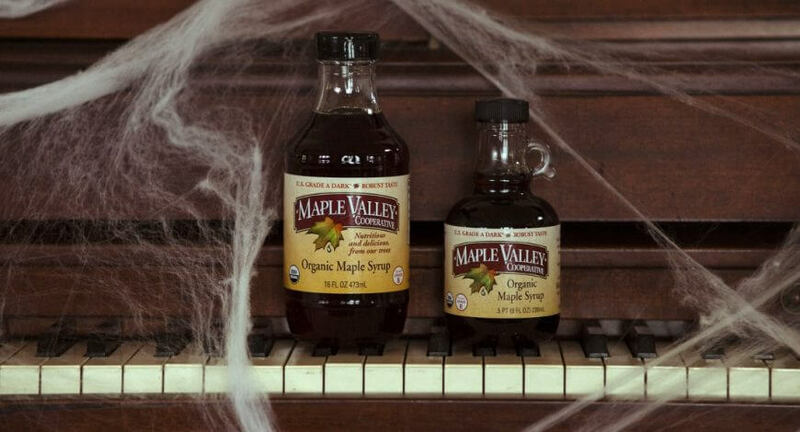 Did you know you can make edible fake blood using maple syrup? This tutorial from Southwest Shadow is just one of the many recipes we found. We suggest making one change and using maple syrup in place of the corn syrup in the recipe. The result will be just as effective and twice as tasty! These adorable leaf crowns from Twig & Toadstool are the perfect topper for a royal costume. We love the use of the colorful leaves and the simple creative design. It’s a DIY costume element that will be raking in compliments (pun intended). This one is more about the Mirrored Boo Jars than the Pom Pom flowers. 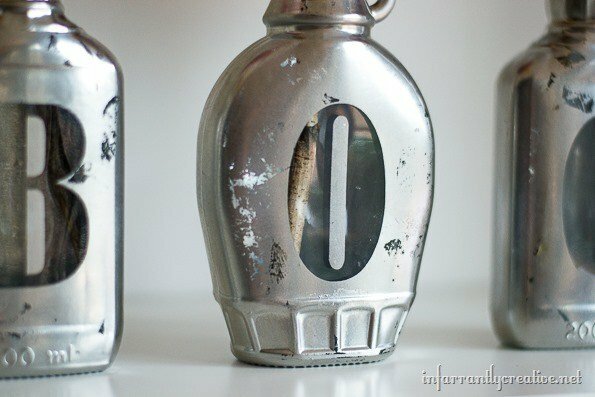 What a great way to re-purpose a maple syrup bottles! If you are looking for one similar to the jar in this tutorial from Infarrantly Creative, check out our flat glass bottles of organic syrup. Here’s another one for all of you mason jar lovers out there! This project from Create Craft Love is so cute and simple, we can’t say no! Be sure to trace a real maple leaf onto your adhesive vinyl to make it more authentic. 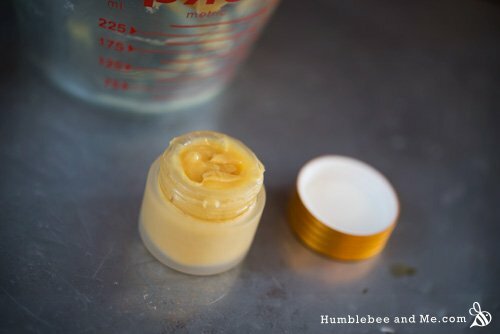 This lip balm from Humblebee & Me is very likely the most complex and the most rewarding craft on our list. Sure, it might take a little more time an effort than the rest of the crafts on this list, but just think of how awesome it would be to say “I made this!” every time someone tried your delicious maple syrup lip balm and raved about it. Totally worth it. These beautiful butterfly wings from Tarnished Royalty are made from maple seeds. They are an amazing craft for any time of the year, but we love the idea of modifying this craft slightly to make some neat wings for a costume. With a tag board backing, some straps, and some extra strong glue, we think we could make a pair that would last through a Halloween party or some trick-or-treating. Did you try any of these ideas? Do you have some of your own to share? Tell us about it in the comments below!